Net Neutrality is the founding principle of the Internet. It guarantees that all data packages are treated equally. This principle guarantees that the Internet will remain non discriminatory, equal for everyone, diverse, innovative and free. Telecom companies want to change that. They want to establish new business models based on discrimination and restrictions. They would like the Internet to be like TV. The fundamental openness of this crucial technology must be preserved. Net neutrality is necessary for freedom to access and send information and ensure internet service providers serve the rights and interests of citizens first . 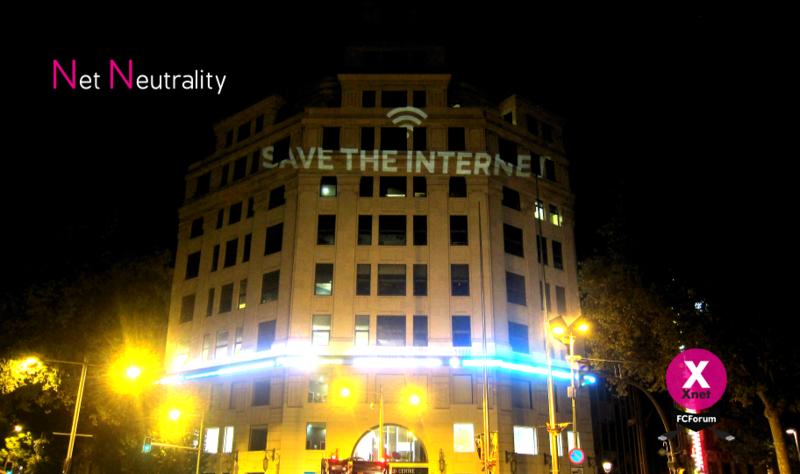 In many regions all over the world, the principle of net neutrality is violated. This is, at least in part, caused by a lack of competition amongst internet access providers. Very often there is a de facto monopoly or duopoly, leaving the consumer with nothing to choose and giving large internet service providers control on who may get connected and under what conditions. Greater competition needs to be promoted so that both end-users and content providers have options to choose from . Alternatives to the monopoly of access providers range from small access providers operating on top of the existing network infrastructure to p2p sharing wireless networks. Strong Net Neutrality laws and regulations need to be enacted worldwide to keep internet open and innovative, prevent discrimination and protect citizens’ fundamental rights and freedoms. A Dynamic Coalition is working to elaborate a “model framework” on network neutrality, which can be deemed as consistent with international human rights standards . The Netherlands, in June 2012, was the first Member state of the EU and country in Europe to enact a Net Neutrality law . The law is still nowadays (as of december 2015) the best ranked in the world according to Web Index ranking indicators on Net Neutrality . Yet, many aspects of The Netherlands’ net neutrality law (and also Slovenia’s and Finland’s current laws) will be regulated according to the TSM when it comes into force in the EU. In March 2015, activists and citizens in the US and around the world applauded the decision of the Federal Communications Commission that put Net Neutrality first in the US, setting rules against blocking, throttling, and paid prioritization of Internet’s traffic . ISPs should not be allowed to discriminate against content they deem “unlawful” without a court order. However, the ruling would accept voluntary practices undertaken by the ISPs to address or mitigate the occurrence of copyright infringements. The vague “general conduct rule” to evaluate provider conduct, that relies on a case by case evaluation of reasonableness, causes uncertainty that will lead to expensive litigations. It does not consider zero rating inherently improper, but instead suggests to evaluate such arrangements on a case-by-case basis. In September 2013, the European Commission tabled a proposal to inter alia regulate net neutrality, roaming, radio spectrum, user rights called “Telecoms Single Market regulation” (TSM). It was a “not” neutrality proposal. NGOs under the SaveTheInternet.eu campaign , led by the EU umbrella organisation EDRi, worked with the European institutions during the whole legislative process to improve the text and led a citizen EU-wide campaign for a strong Net Neutrality regulation in Europe. As a result, in April 2014, the European Parliament adopted a very good first reading position on the TSM regulation by a big majority, closing all the loopholes introduced by the Commission . The reading was then followed by the so-called “informal trialogue negotiations” between the Council, the Parliament and the Commission. EDRi and its members followed closely and contributed to the trialogues process to upheld the democratic decision of the European Parliament and prevent Council’s push, facilitated by the rapporteur Pilar del Castillo , for the introduction of a whole range of network discrimination. Trialogue negotiations concluded on 30 June 2015. The resulting text was not bad enough to oppose it, but was not good enough to support it either. Despite all efforts, this political agreement still needed to be amended in order to clarify some ambiguities and incoherences, namely zero rating, specialized services, and traffic management and congestion. SaveTheInternet.eu wrote and tabled amendments to the text and launched a citizen campaing  calling on members of the European Parliament to vote in favour of those amendments to clarify the Telecom Single Market regulation and ensure that Net Neutrality is delivered across the EU. The campaign had large citizen response and important supporters  . Yet, on 27th October 2015, the European Parliament adopted the text in its 2nd reading unamended. Co-regulation of roaming charges together with Net Neutrality in this same text was a manipulation and involved blackmail, from the very beginning, to divert attention. Since the European institutions failed to fully protect Net Neutrality, the responsability lies now in unelected regulators to interpret and decide on the ambiguities of the Telecom Single Market text. It is in our hands to closely work with national regulators and BEREC (Body of European Regulators of Electronic Communication) to make them take the right decisions by counterarguing telecom lobbies. It is worth noting that despite the base text given to the FCC was in some ways even worse than the TSM text at BEREC’s table, they succeeded ruling to protect Net Neutrality in the US. Large deep-pocketed companies should not be allowed to buy VIP tickets to prioritize their content over other traffic on the Internet. All traffic on the Internet should be treated equally. This includes both unencrypted and encrypted content. ISPs should not be allowed to become gatekeepers (deciding who gets better access or not) and charge companies for the delivery of their services. Anyone with a great idea should be able to reach Internet users without having to pay a toll. ISPs should be allowed to manage traffic in cases of congestion, but only if it is objectively taking place. We have now 9 months to work with BEREC, the 28 national regulators and the European Commission to convince them to address the ambiguity and vagueness of the text in the guidelines so the principle of net neutrality is fully respected. EDRi, accompained by Initiative for Netzfreiheit, and AccessNow were invited to meet with BEREC, on 15 December 2015, in a stakeholder dialogue and contribute to the Net Neutrality regulatory process giving answers on how TSM regulation should be interpreted to issue guidelines that protect Net Neutrality and benefit consumers  . No further meetings with civil society are currently scheduled. Working groups will be drafting guidelines from until May 2016. Oddly, on 30th April 2016, the Telecoms Single Market will be applicable with no guidelines issued yet. 20 days of public consultation will be open in June, after BEREC’s plenary vote on the draft. BEREC will analyze the feedback and redraft consequently. The final vote will take place on 30th August 2016 in extraordinary BEREC plenary. Citizens’ participation is urgently needed and a 20 days consultation at the very end of the process is insufficient and inadequate. SaveTheInternet.eu is studying and building means to facilitate citizens’ contribution in early stages of the process. We believe Zero Rating should be considered a violation of the principle of net neutrality. Zero rating is the practice by ISPs of offering their customers a specific set of services or applications that are free to use without a data plan or that do not count against existing data caps. Such Zero-Rating practices are inherently discriminatory because they gives specific service providers an advantage over their competitors, and push users towards a certain service at the disadvantage of all others — which is why it has been banned or restricted in countries such as Canada, the Netherlands, Slovenia and Chile. These kind of plans consolidate the power of large mobile providers and force Internet users towards the existing monopolies, hindering new businesses and threatening innovation. Zero-Rating also undermine user’s freedom to choose the services they want to access and attack freedom of communication and information. In Europe, during trialogues on the Telecoms Single Market regulation, the three institutions agreed to leave zero rating out of the scope of the negotiations. This was confirmed by the European Parliament’s rapporteur on this file, Pilar del Castillo , at a press conference following the end of trialogues. However, the European Commission added confusion by issuing a press release pleading for the advantages of zero rating. We must push to resolve this uncertainty. Zero rating is currently Free Basics’ (previously Internet.org) basic model. Facebook is partnering with ISPs around the world to offer access to certain Internet applications to users at no cost. Net Neutrality advocates are conducting a battle to stop Facebook’s push to spread its Zero Rating services, such as Free Basics, around the world and particularly in emerging countries . To Mark Zuckerberg’s disingenuous communication campaign  we respond that there are successful models that respect Net Neutrality   for providing free Internet access to people. Instead, Free Basics seems to be, so far, a mean for early building a monopolistic position in an emerging market. Most of the debate on net neutrality is focused on the so-called ‘last mile’, the connection between the internet access provider and the consumer. Little is known on how limitations on the ‘miles on the other side’, between the content provider and the internet access provider, impact the freedom of information of the end-user. The traffic between users and a server passes through many different networks, each of them connecting to the other based on all intransparent peering and transit agreements. It is also not clear what impact ‘content delivery networks’ have on freedom of information of the end-users. More research is needed. Also, it is harder to investigate these problems for end-users themselves, as these issues are not as visible as violations on ‘the last mile’. The Spanish project Guifi.net  is a network built through a peer to peer agreement where everyone can join the network by providing their connection, therefore, spreading the network and gaining connectivity for all. The project was developed in the center of Catalonia and has become the biggest free wireless network of the world. Despite its highly efficient and sustainable method to provide free and open internet access (even in areas where it is not served by regular telecoms operators), Guifi.net struggles with an administration which hinders this citizen-driven distributed solution while less efficient privately-owned services are hired to provide WiFi internet access in public infrastructures . – Tools for the citizens to monitor and denounce practices which slow down, throttle and block Internet services and content must be put in place. – Publicly owned or publicly funded networks are entitled to and should demand the provision of neutral internet access services by third party companies using the network to provide internet access service to end-users. Contractual obligations should demand strong econmic and technical non-discrimination provisions within the framework of the Telecoms Single Market Regulation. – Commons based Community Networks like Guifi.net, Freifunk and Funkfeuer should be considered a legally and economic viable alternative to classic internet service providers. These parallel offers to commercial access providers establish a free, open and neutral internet service to the wider public that should not be considered anticompetitive to private telecom operators. Polices that protect this type of non-profit projects that favour distribution of internet access to all citizens are needed. Big telecoms companies like Telefonica and Vodafone have lots of influence in the Spanish government and other institutions. This is largely due to the fact that there is a seemingly never-ending revolving doors list between the two main political parties in Spain, PP and PSOE, and the big telecoms companies (Rodrigo Rato, Eduardo Zaplana, Javier de Paz, Fernando Almansa, Trinidad Jiménez, Mighel Boyer.. ). It is not a mere coincidence that the president of Telefonica, Juan Villalonga, and José María Aznar (president of the government for the conservative political party PP for eight years and responsible for Spain entering in the war in Iraq) are close friends. Telefonica was created as a state-owned company in 1924. The state invested big money in the company to help it build all the telecoms structures that Spain has nowadays. In 1997, after huge investments, the healthy and profitable company was privatized by Aznar, giving its presidency to a close friend of him, Juan Villalonga. Spain’s entry into the European Union was the end of 74 years of Telefonica enjoyment of the monopoly of telecommunications in Spain. New operators need to “rent” telecoms structures to Telefonica. However, Telefonica is also a Telecoms operator itself. Its unlawful and uncompetitive practices against the new operators have hindered the spread of broadband in Spain (setting high prices to throttle profit margins of new operators and not willing to invest in its own infrastructures) and was sanctioned with 152 millions Euros in 2012 by the EU. Such scenario show how net neutrality protections and digital rights in Spain will have to come directly from or at the request of the European Union. and Gaelle Krikorian, advisor on Access to knowledge and Intellectual Property.